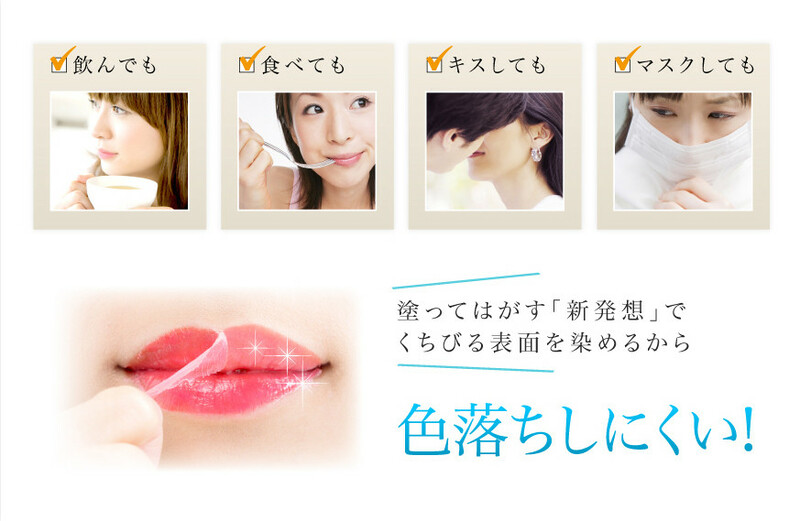 Not a lipstick nor a lip gloss, but tinting the lips so subtly but sensually. 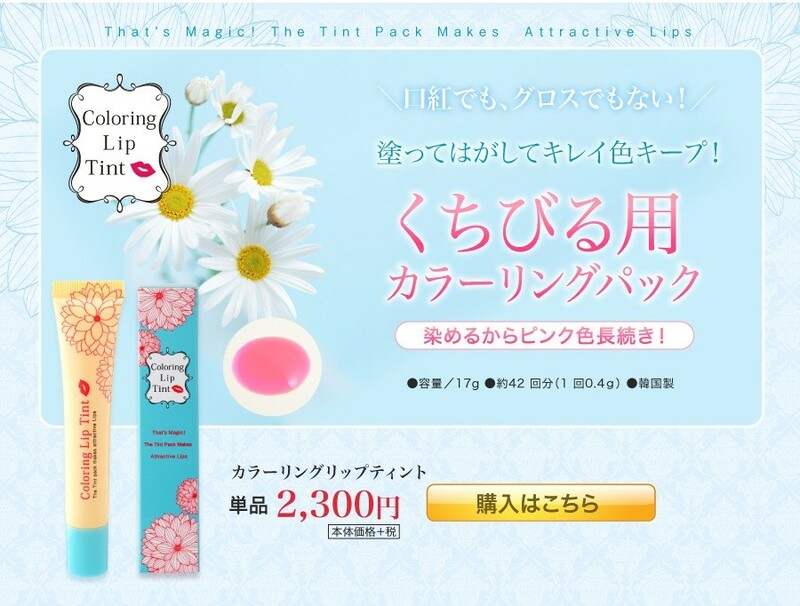 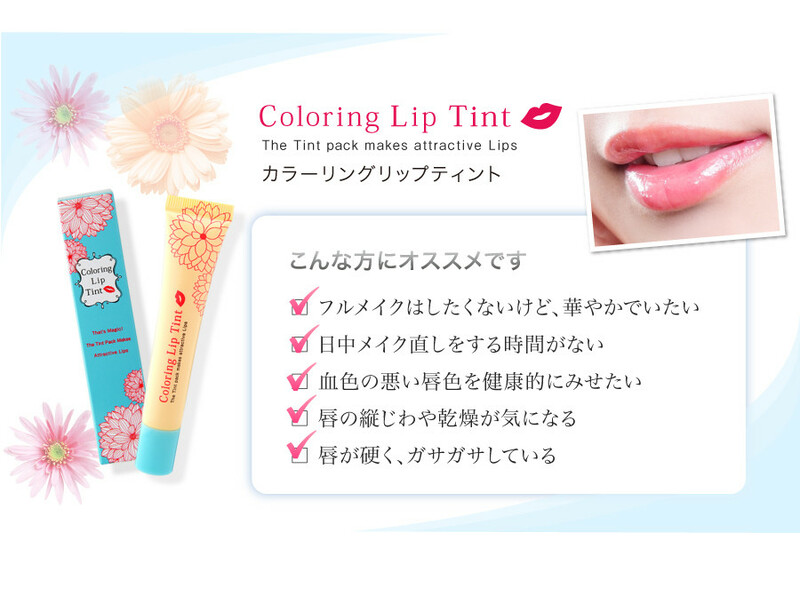 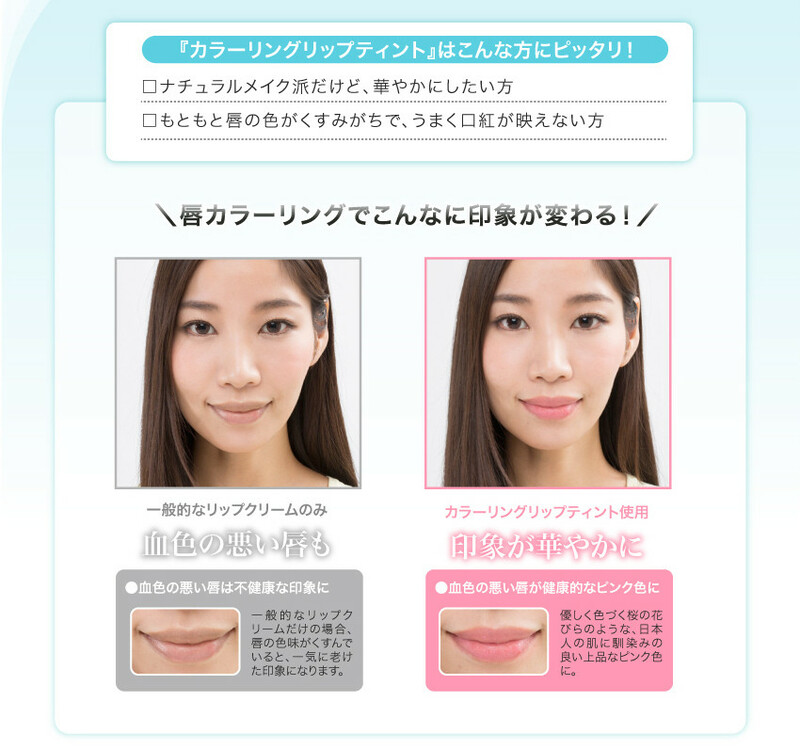 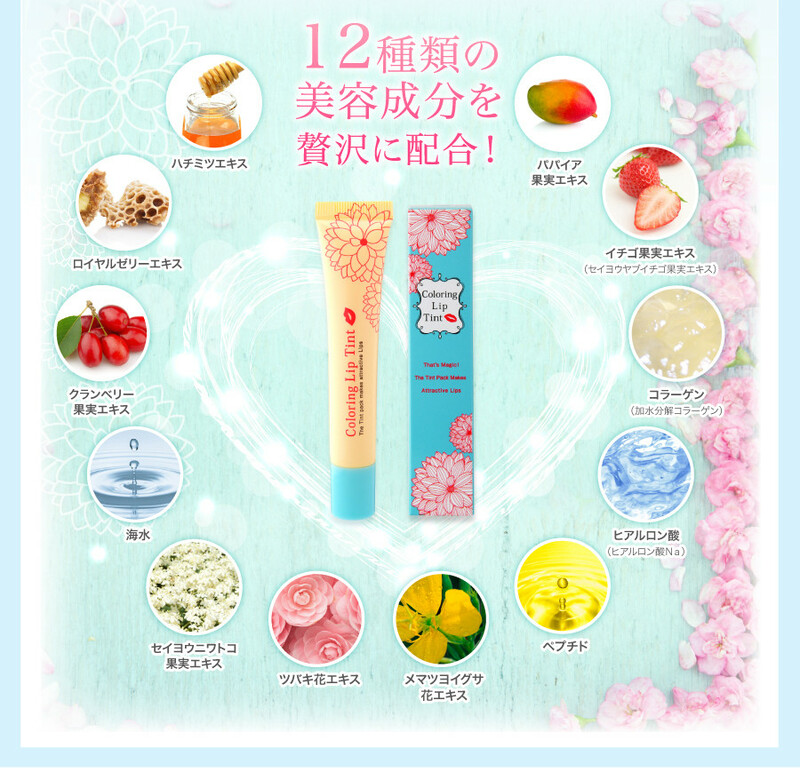 That’s <Coloring Lip Tint>, with its effect lasting much longer than conventional lip items. 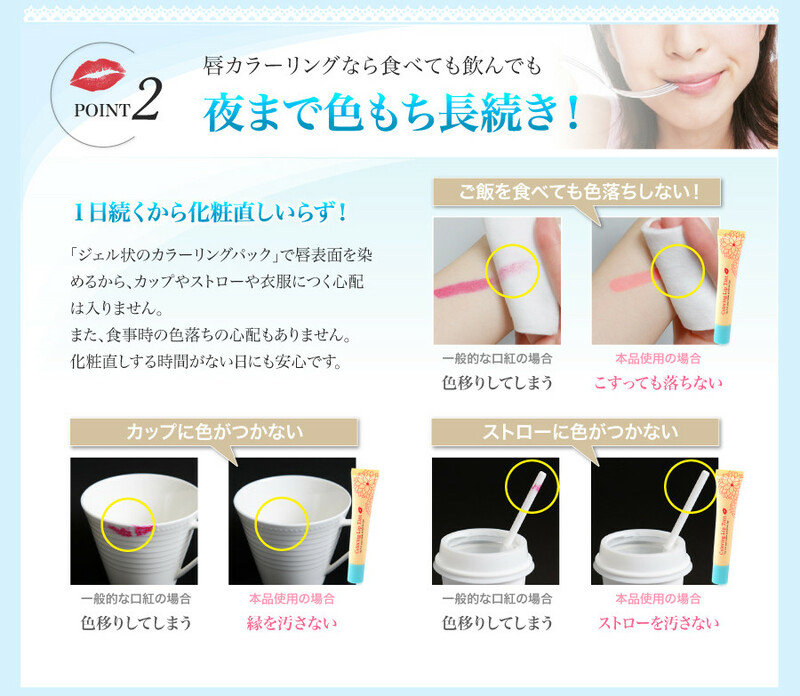 Just “Paint”, “Wait”, “Peel off”, and now it’s ready to go out!. 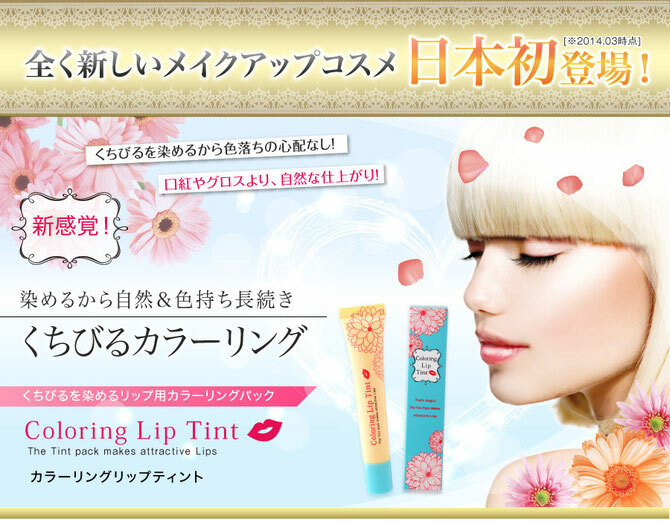 Natural but sensual pink color gently shroud the curves of the lips. 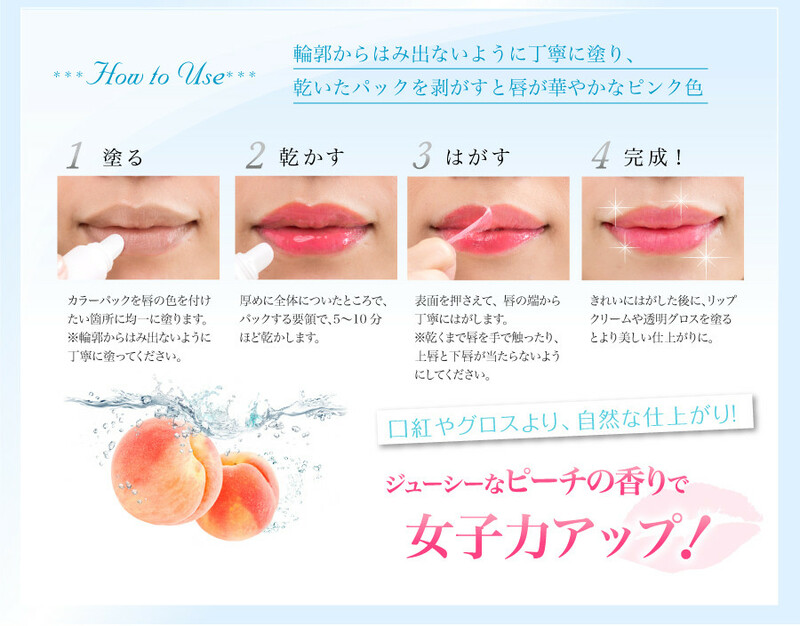 Featuring 12 types of beauty ingredients such as hyaluronic acid and collagen as well as variety of plant-derived extracts, abundant moisture and gloss are smoothly but efficiently provided.